In last week’s edition of The Weekly Reader, I mentioned an interesting article about demands from Britain’s independent bookstores for government assistance in combating Amazon’s market dominance. I also declared my intention to forgo Amazon book purchases in favour of supporting the nation’s bookstores (one week later and I am still going strong). I was surprised by the level of response that this decision received – all extremely supportive but supplemented with queries about how such a commitment could be upheld by budget-bound bibliophiles. I have been giving this some thought because, much like the doomed but inevitable New Year’s resolutions to which we subject ourselves, it is all too easy to fall back into old habits. After all, the service offered by Amazon is both cost-effective and unbelievably convenient – books ordered while sat in front of the third run-through of Firefly (yes, I am that girl) and delivered right to your door, for just a wisp of the RRP. Yet, as I stated in my comments in The Weekly Reader, this is inevitably a question of priorities. So to support those good intentions – intentions that I am sure many of us share – I have put together this post as A Book Buyer’s Guide. Some easy ways to maintain your bibliophilic habits, while keeping those purse-strings tight and supporting our all-important bookshops. There is such a preponderance of independent bookshops around – and this is certainly not a fact restricted to the UK. While living in New York, I visited a number of brilliant bookshops, including the unbelievable Strand bookstore. Even in the backwaters (and by this, I obviously mean Missouri), you will always be able to root out some wonderful and under-appreciated book sellers. Independent bookshops are everywhere, once you know to look for them. It is, inevitably, down to readers to do much of the work in seeking these places out – they do not, after all, have the budget to imprint their presence on your consciousness as with the onslaught of ads for Amazon services and chain stores. But I fully believe that, for the true book fan, efforts to hunt down independent shops bring the most fantastic of rewards. You will encounter people of passion, who have given over their lives and careers to set up shop; you will find yourself in the weirdest of literary worlds (for anyone who has found themselves lost in the rabbit-warren that is Foyles, you will understand what I mean); and, most importantly, you will know that your purchases are supporting the dedication of fellow bibliophiles. Because this is the fundamental point. Independent bookshops are the product of a decision to risk everything in order to share a love for literature with the local population – created by and for lovers of literature. In a world where the most determined of bibliophiles give themselves over so easily to the powers of Amazon (and I include myself in this category), what chance do independent bookshops really stand? So I would encourage you to put in the effort to find some wonderful, local independent bookshops. It isn’t tough – Google is an invaluable resource for the purpose. For those in the UK, I would recommend The Guardian’s Independent Bookshop Directory as a great starting point. I promise you all that your time will be well-rewarded! It is also worth bearing in mind that many of these shops have loyalty deals for regular customers. While it is undeniably the case that frequenting independent bookshops will take a higher toll on your bank balance than would Amazon purchasing, there are certainly numerous ways of making savings. Creating this as a distinct category is not necessarily true to reality – many independent bookshops also offer wonderful second-hand deals (great for those on a budget). In fact, The Strand, as one of the most fantastic independent bookshops of all time, consists largely of second-hand stock, making it a wonderfully cheap option. Beyond those shops that fall within both categories, however, I am alluding to the numerous charity shops that offer up second-hand deals. 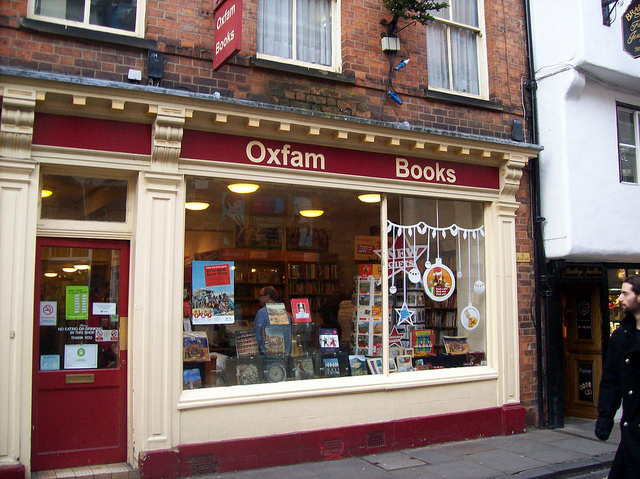 You will no doubt have picked up on the many shout-outs I have given to my local Oxfam bookshop – well-deserved, given the expansive selection of books on sale and the relative lack of expense. For the most part, every book I buy from Oxfam is half the Amazon price, and always on sale in as-new condition. Oxfam is not the only charity to function as a fantastic option for book buyers (although it is the only one, I think, to have exclusive bookshops). My book rummages always involve visits to a number of other charity shops and I have found some fantastically good deals. Again, this is an option available globally (admittedly, to varying degrees). I also want to use this as a chance to highlight The National Trust as a wonderful resource. I adore The National Trust, mostly for the sights, but also for the second-hand book selling that it conducts at virtually all of its locations. On my recent trip to Wimpole Hall, for example, I was able to visit their comprehensively-stocked shop, which offers books at brilliant prices. This is a great way to support the work of The National Trust while maintaining some serious bibliophilic habits. While I know that the advantages of chain bookshops are somewhat debatable, particularly in light of an Amazon avoidance, I have chosen to include it here. Certainly not as ethically-sound and beneficial as frequenting independent bookshops (and, I would argue, failing to offer the same reader rewards in terms of ambiance and uniqueness), it still gives readers an opportunity to indulge their book habit on the high street. 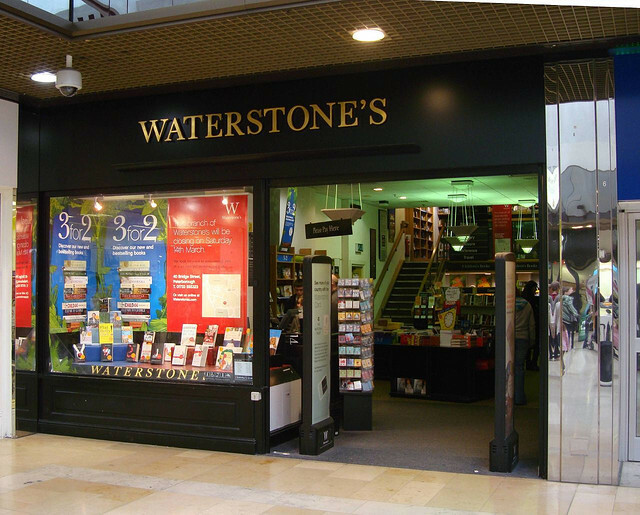 I really do respect chains such as Waterstones and Barnes and Noble for what they offer readers – there is something strangely comforting and reassuring about them. While not the ideal in terms of making purchases to support dedicated booksellers, the chains are an inevitable presence and a valuable option for many. Offering plenty of loyalty programmes, they are also an effective means of non-Amazon book-buying on a budget! These three avenues for book purchasing are by no means exhaustive. They are, however, the three options that feature most prominently in my non-Amazon buying strategy. My recent post-exam book binge was, in fact, supported by each of these, and with truly minimal impact upon my bank balance. Like any kind of ethical purchasing, book buying simply requires some forethought and a little research. While this may not sound appealing to those of us with hectic schedules, it is unavoidable if we wish to see bookshops remain on our streets. As an avid reader, I have struggled with this issue for a long time and have, essentially, chosen to blinker myself to its existence. Faced with the impending demise of our independent booksellers, however, I have decided that I cannot avoid the problem any longer. I do not want to be the self-declared bibliophile who chose convenience over championing the dedication of fellow literature lovers. As book lovers we are, after all, the ones who will bear the most responsibility for letting the book industry fail. 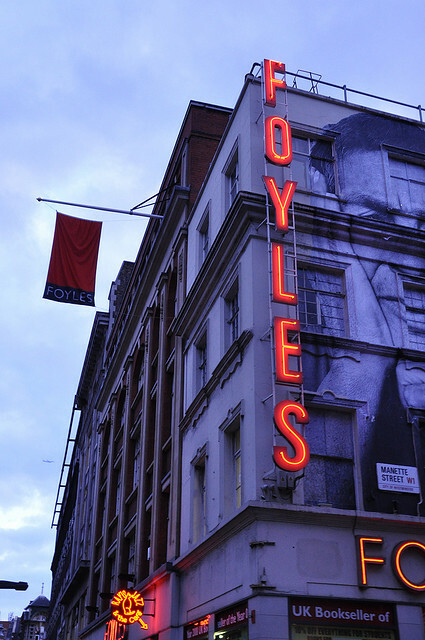 And I will certainly be doing what I can to ensure that people will be enjoying the joys of Foyles and The Strand for many generations to come. Another bargain, I think, are the Wordsworth Classics publications. They only cost £2 and range from the likes of Dracula to War and Peace – very wide ranging authors. You can buy them in most independent bookstores. Absolutely true! My favourite local independent bookshop has a massive collection of the classics – all priced at £1.99. Classic literature is perhaps the cheapest around. Thanks for highlighting it!